A Conservative backbencher has attacked MPs who oppose a 10 percent pay rise to £74,000, accusing them of “lazily” pandering to popular opinion. 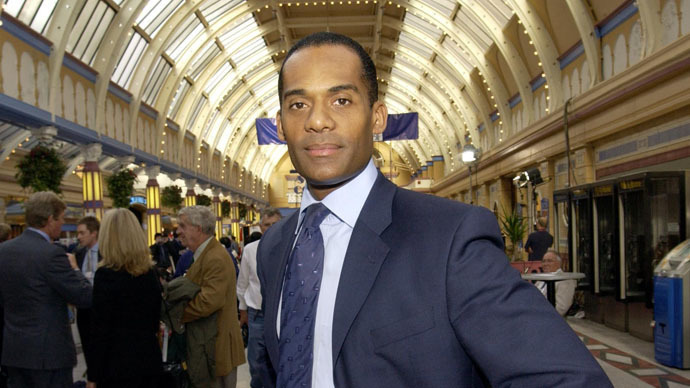 Multimillionaire Adam Afriyie also attacked the independent body tasked with paying MPs’ salaries and expenses for having “dragged out” its pay review for years. Afriyie’s comments come as it was revealed MPs salaries could reach £86,000 over the next five years. The self-made millionaire, who grew up in a council house, said earlier this year MPs should not be forced to “scrabble around” on a salary of £67,000. Afriyie said two thirds of MPs took a pay cut when they entered parliament and that the vast majority subsidized their work out of their own pockets. IPSA launched a final consultation last week before raising MPs’ salaries from £67,000 to £74,000. The independent body is due to increase MPs’ pay in line with national earnings, which the Office for Budget Responsibility (OBR) estimates will rise by 3.1 percent next year and 4.4 percent in 2019. This incremental rise could see MPs pay increase to £86,000 by the time of the next election, despite a 1 percent cap on pay rises for public sector workers in place until 2016. While Prime Minister David Cameron condemned IPSA’s decision and called on officials to “think again,” he has dropped his pre-election promise to overrule the body. Afriyie is one of a small group of MPs who have publicly defended the pay rise. The Tory MP for Windsor, who is estimated to be worth £50 million and claims no second home expenses, put his Westminster house on the market this month for £16.76 million. He is in line to make £9.5 million profit from the sale, according to The Independent. The property, which is nearly 8,000 square feet, has eight bedrooms, a gym, wine cellar and self-contained flat for household staff. Education Secretary Nicky Morgan has said she will donate a portion of her pay rise to charity.